LANGHORNE, PA—In an attempt to sway any voters who remain undecided in the Democratic-leaning state, Republican candidate Mitt Romney announced Friday that any resident of Pennsylvania who votes for him in the upcoming election can have his wife, Ann, for one hour. “One vote for me gets you 60 minutes alone with Ann to do whatever you want, no questions asked,” said Romney, adding that he has broached the proposal with his 63-year-old wife and that she is amenable to it. “She is a very beautiful woman, and very discreet, so trust me, you won’t be disappointed. 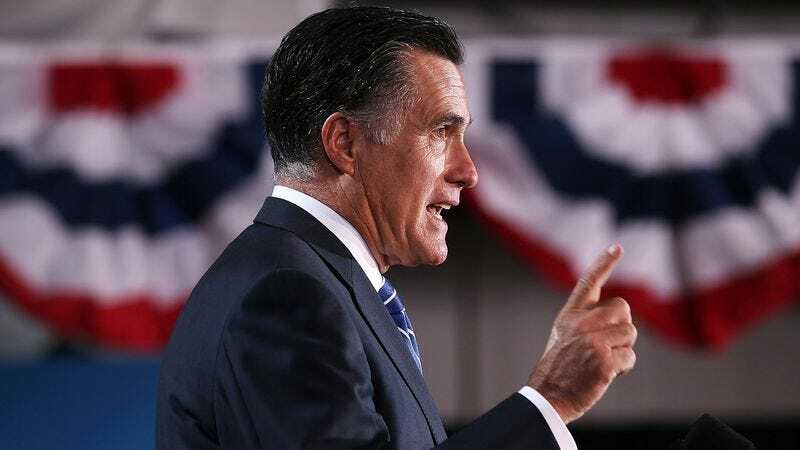 This is a solid offer I’m making you.” At press time, Romney was assuring female voters that their support will guarantee them one private night with his five sons at the family’s lake house in New Hampshire.